Huge seafaring vessels have long been one of the most impressive things on the water. They carry our goods, protect our countries and provide days of extravagant vacations. Most of the ships on this list are bulk carriers that transport goods or crude oil, and for good reason. It’s cheaper for companies to move a large number of items at once; however, these huge ships are gas-guzzling machines that must obey strict environmental regulations. Both conditions make them expensive to operate, even while they’re fun to look at. Each year, large transport ships move about 11 billion USD worth of goods. Experts estimate that 22 million people travel on a cruise ship annually. The world’s first nuclear powered aircraft carrier was for 52 years the darling of the United States Navy. It was also at the time of construction the largest ever ship. Christened in Newport News Shipbuilding Yard, it was the first of a planned class of carriers with five other sister ships. However, at a cost of $451.3 million ($3.93 billion in 2017 dollars), the plans for the other ships were scrapped. As the US military looked towards a more mobile military, the Enterprise was deemed too costly and the technology too dated to keep in service and meet their military objectives. The decommissioned ship now awaits scrapping, but the name lives on in the Star Trek science fiction franchise, with the main space ship featured in the franchise carrying the ship’s name. 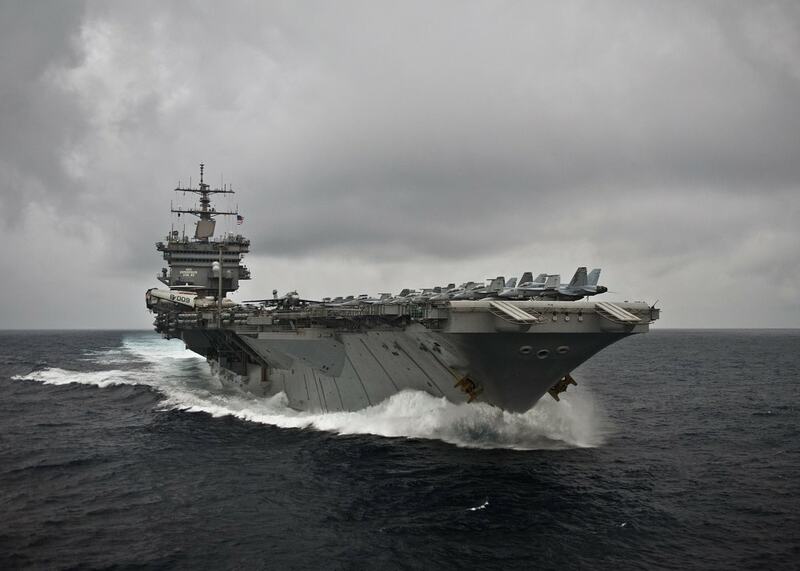 The US Navy will build a smaller version of the Enterprise, the CVN-80, in the near future. This ship is, like the Enterprise, one of the familiar names in this list. When one thinks of a large ship, the Queen Mary II likely comes to mind. The flagship of the Cunard company liners has made headlines by hauling dignitaries, Olympic athletes and even the first American copy of the book Harry Potter and the Half-Blood Prince. The ship is the setting for a documentary featuring UK pop singer Ed Sheeran. 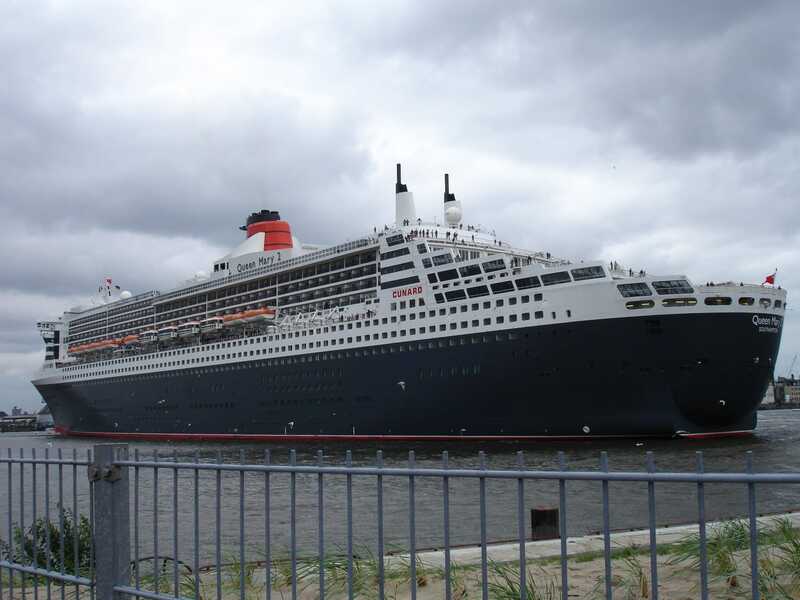 The QM2, as it’s known, can carry as many as 2,695 passengers and can reach speeds of up to 30 knots. It was originally designed as a Transatlantic ocean liner, and to this day is the largest ship ever built solely for that purpose. However, most know of it as a cruise ship, as it has gone around the world and transported over 500,000 people on the Southampton, England to New York journey alone. There are four Oasis class cruise ships currently in operation, the MS Oasis of the Seas, the MS Allure of the Seas, the MS Symphony of the Seas and the MS Harmony of the Seas. They are all approximately the same length, having the same design and structure. Engineers attribute the slight differences to the ambient temperature present when each was constructed. Because of these slight differences, the Symphony is officially the largest cruise ship in the world, but only by a few feet. 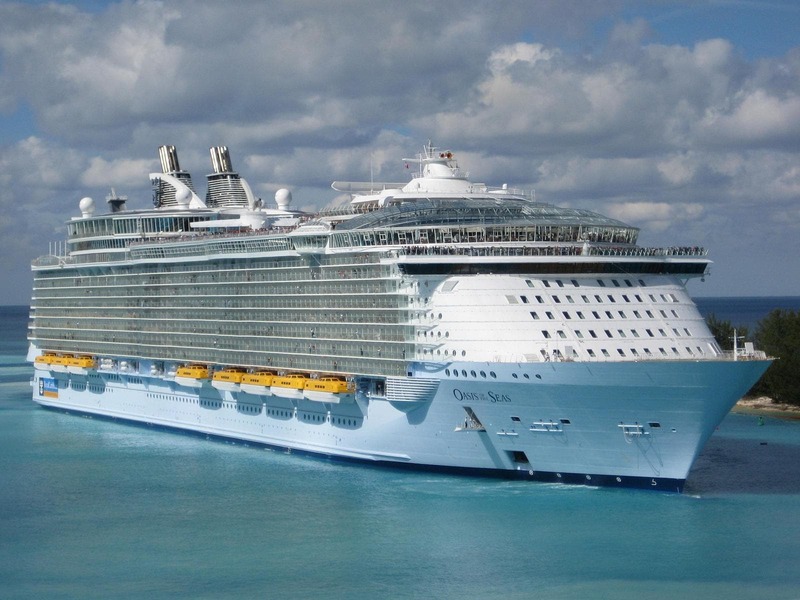 The ships, owned by the Royal Caribbean Cruise Line, were built and christened between 2006 and 2018. The Oasis was the first completed and placed into service. Each ship differentiates herself with a variety of amenities. Some ships have restaurants, Broadway class shows or kids’ play areas that the others don’t. Virtually identical in length to the Oasis Class Cruise ships, the Valemax is a class of bulk carrier ships built to move iron ore across the world. There are currently 47 of these ships in operation, with more being planned. While international commerce is often entangled in international politics, the Valemax class of ships were in the center of a recent conflict. China banned the ships from entering their ports for three years, citing safety concerns. However, reports surfaced that other Chinese shipping companies disliked the competition of the more efficient Valemax vessels during a down economic period in the country. The Valemax ships were ordered by Vale SA, a Brazilian shipping company, in 2008. 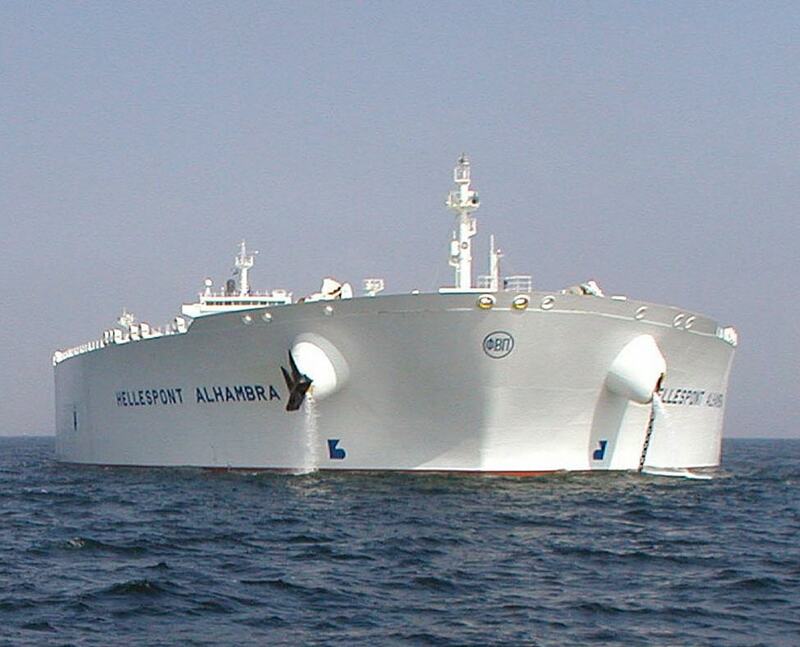 The Tankers International class of supertankers contain the TI Africa, TI Asia, TI Europe and TI Oceania. They were initially purchased by the Hellspont Group under different names, and later sold to Euronav. They were at one time, the largest in the world in displacement and internal volume. The ships weigh 67,591 metric tons, but can weigh over 500,000 metric tons when their tanks are full. 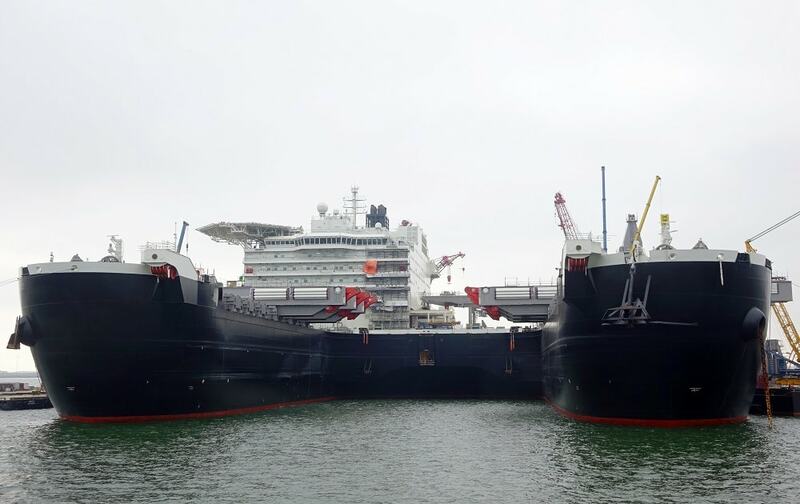 Two of the ships, the Africa and the Asia, no longer travel the seas, but have been converted to Floating Storage and Offloading Vessels (FSOV). This is the only construction vessel on the list, and it’s the largest of it’s kind in the world. The Pioneering Spirit is meant to install or remove oil and gas platforms or to assist in the installation of underwater pipelines. The Pioneering Spirit was built in South Korea for a Dutch shipping company Allsea. The company is owned by Ed Heerema, and he named the ship for his father Pieter Schelte Heerema. The elder Heerema was an officer in Hitler’s Nazi Secret Service. Several groups protested the ship whenever it was in port in Europe and the company changed the ship’s name to the Pioneering Spirit. The Oscar is the largest container ship currently in operation. It can hold over 19,000 crates above and below deck, setting a new standard for other ships to match. It’s also part of the new breed of energy efficient cargo ships, employing the latest technological advances to maximize fuel efficiency. With its length making it one of the largest ships ever built, it’s also nearly 200 ft. wide, though it still manages to get through most canals and into most ports around the world, with a big exception. The Oscar was considered too big to enter any US ports when it first set sail. The Mediterranean Shipping Company ordered the ship from the Daewoo Shipbuilding. The container ship flying under the flag of Malta bills itself as the greenest large capacity container in the world. Owned by the United Arab Shipping Company, the Barzan is the first in a proposed series of ships that will service companies who have environmentally conscious policies (and stay ahead of tightening rules regarding emissions). The Barzan caught fire in 2015 in the cargo hold, but did not suffer serious damage. It was the second ship owned by USAC within a few months that year. The ship can reach speeds of 22 knots. Continuing with the trend of large container ships is the Hong Kong, currently the longest and largest capacity container ship in operation. 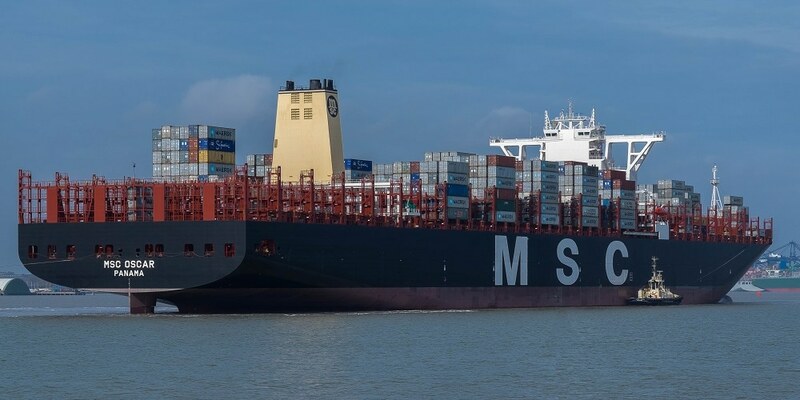 It can carry over 20,000 containers while travelling at a cruising speed of 14 knots. The diesel engines can kick it up to 22 knots if necessary. 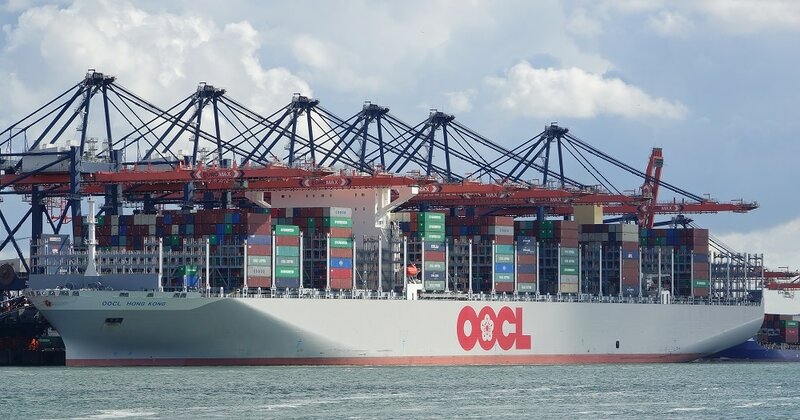 The Hong Kong is the first of six ships of this class to set sail for the Orient Overseas Container Line and was built at the Samsung Heavy Industries shipyard in South Korea. The Seawise Giant, a tanker, was built in Japan in 1976 for a Greek shipping magnate who refused to take possession when the ship was ready because of an inability to pay. 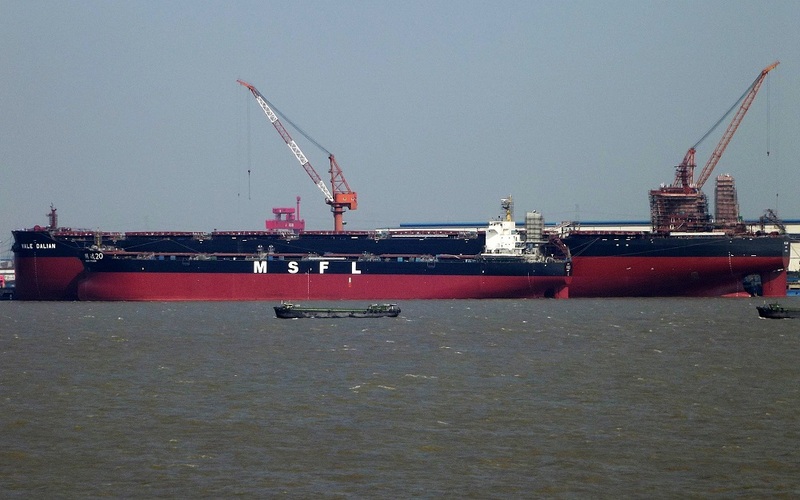 After a legal battle, a Chinese shipping company purchased the ship in 1981 and added some length. In 1988, the ship ran into some serious trouble in the Strait of Hormuz. It was carrying Iranian oil during the Iraq-Iran War. The Iraqi military bombed and sank the Giant. It was the largest ship ever built and the largest ever sunk. A Norwegian company decided to recover and repair the ship. The repairs on the ship, then called The Happy Giant, took two years. Another company purchased and renamed the ship again in 1991, calling it the Jahre Viking. When the owners decided the ship was an ill-fit for modern shipping, they reconfigured the Viking to become the Knock Nevis, a FSOV unit for oil. The ship was finally scraped in 2010.